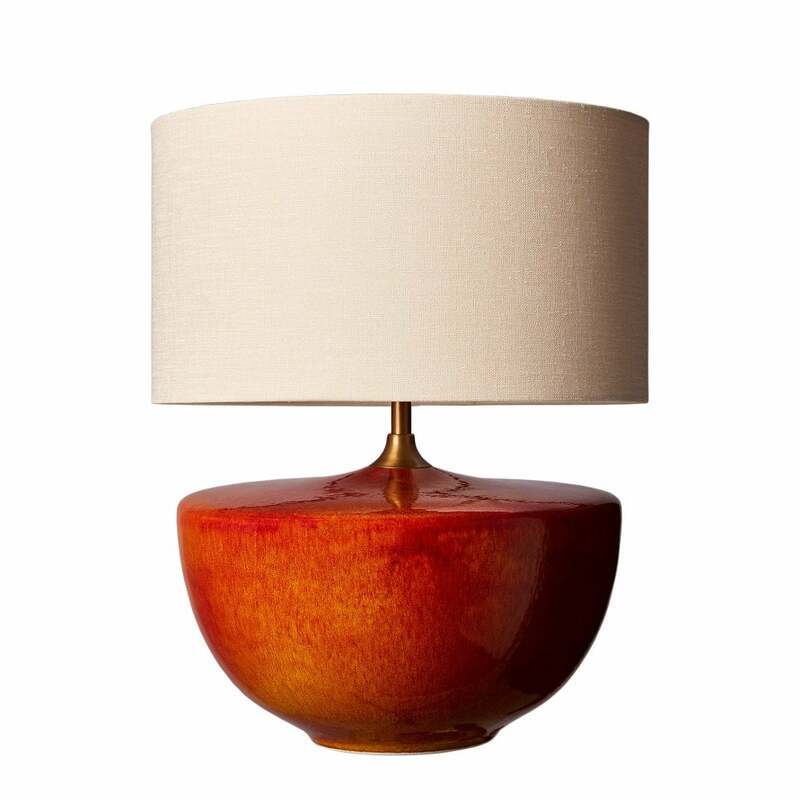 The striking orange hue of the Fuji Table Lamp by Heathfield & Co is inspired by ancient, natural landscapes. A vivid reactive glaze ensures each table lamp is entirely unique. The striking, sculptural form can be paired with the Canyon table lamp for maximum effect. Style with navy blues for a contrasting interior scheme or combine with terracotta hues and metallics. Get in touch with our team for additional shade options.